Aah, at last I started writing a post after such a long time. Studies, exams, shifting, travelling had taken away most of my time I had in the past month. The little I had for myself, I was too lazy to dedicate that for blogging. But, after preparing vermicelli payes this evening I was bent on writing the recipe. The pudding was an instant hit at home, it got over even before the pudding turned cold. Vermicelli is a common ingredient in Italian cuisine. It is thinner than spaghettis but is used almost like pasta. While Italians mainly use vermicelli as a savory, in South Asian cuisine it is mainly used to prepare kheer or pudding. 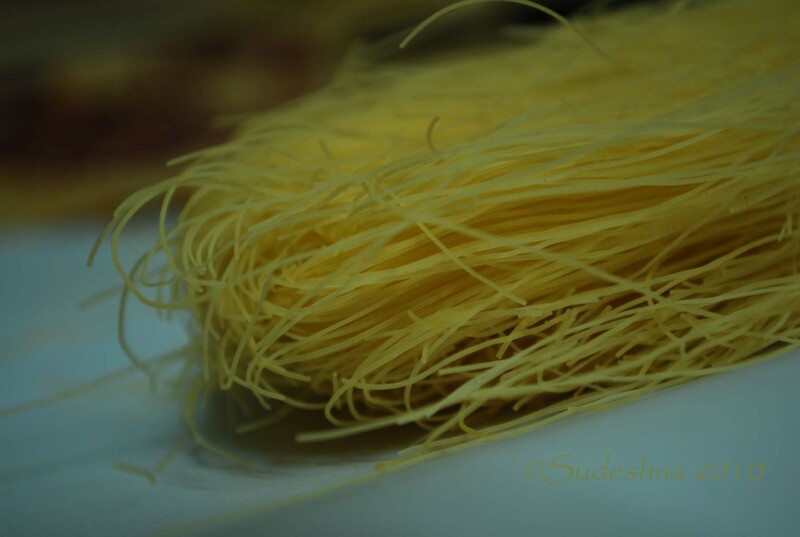 Vermicelli is called in different names in different parts of the Indian continent – seviyan in Urdu and Hindi, semai in Bengali, sev in Gujrati, sevalu or semiyan in Telugu, semiya in Tamil and Kannada. It is mainly prepared from semolina, but the one I used it was wheat flour vermicelli. Hot Tips – Vermicelli tends to get burnt very quickly so continue stirring. OMG! I followed the recipe exactly, and it was a big hit with my family. They mentioned its the best sewaiyan (sheerkorma) they ever had. Its a pleasure to know that. Thanks so much for your comment. Eid Mubarak to you and to your family.